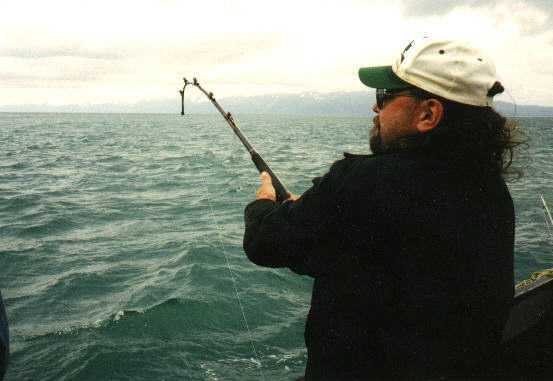 We see either Humpback Whales or ORCA Whales approximately 75% of the days out fishing. 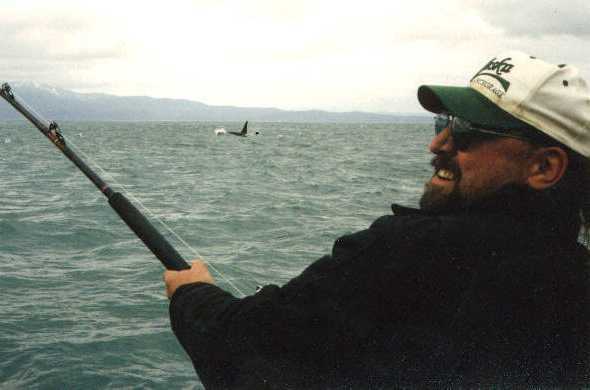 Often the Whales will surface very near the boat. 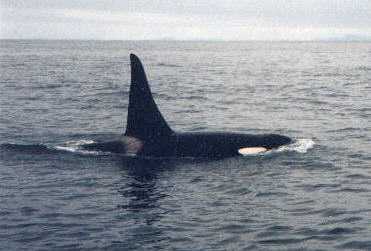 ORCA's are usually in pods of several to 10 or 20 whales. Humpback Whales are usually in small groups, alone, or a cow with several calves. 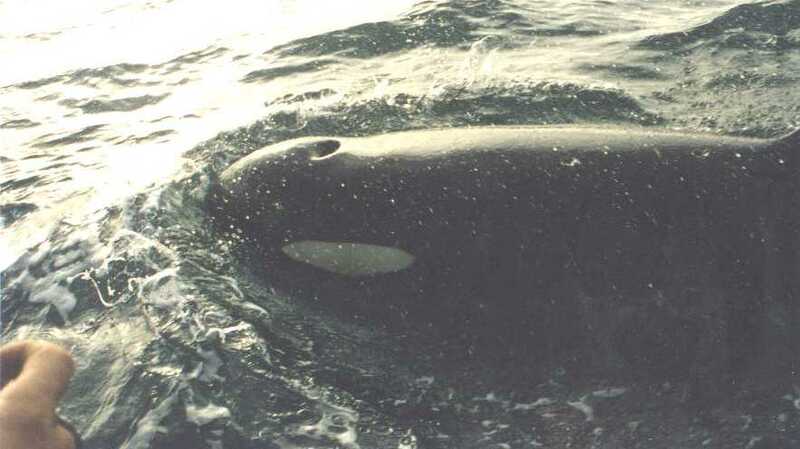 In 1997 there was a "Mega Pod" of ORCA Whales reported off Montague island with approximately 100 Whales present. 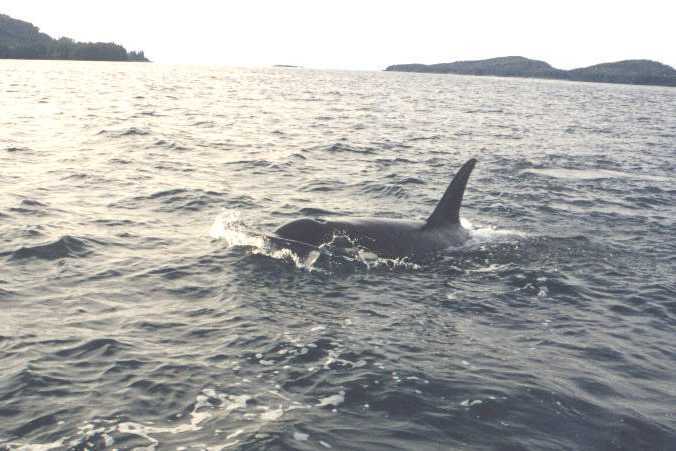 We witnessed approximately 30 to 40 ORCA's in one pod on July 4, 1997. 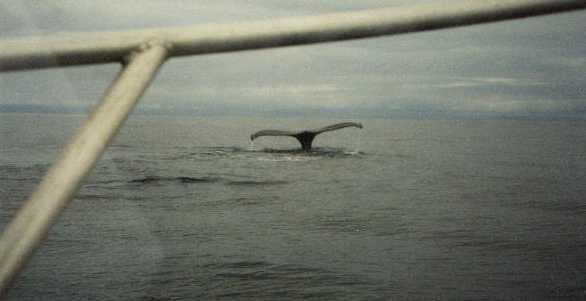 During the 2000 season there was a massive school Humpback Whales offshore that easily surpassed 100. 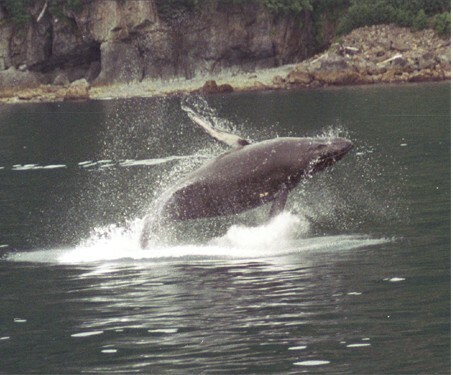 The Whales remained in the same general area for several weeks during July. We also witnessed several "Finback Whales" this year.